** I was given product by Oriental Trading for this styled shoot. Full disclosure, I've been shopping at Oriental Trading long before they gave me product to use in this shoot. When Oriental Trading told me they had a wedding line I immediately had to check it out. I already love using their products for my parties so I had to see what the wedding line contained. ooooh, I found SO much I could use for my parties. So when they asked me to style something using their wedding line I was all over it. Let's take a look. This was my first mini wedding styled shoot and I had so. much. fun! After all, a wedding is just a big party. For this shoot I chose Martha Stewarts fall 2017 unique color combination. 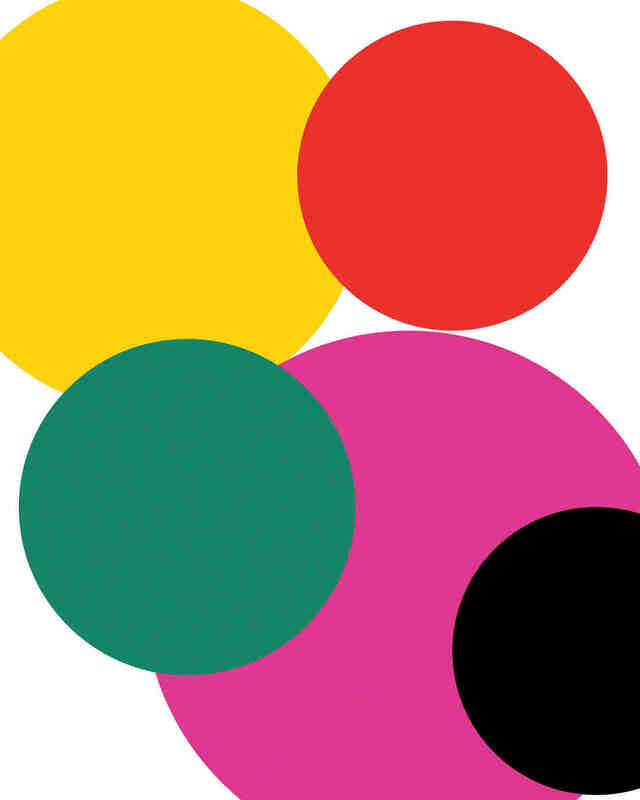 I love the POPs of yellow and pinky/mauve, the fresh green and of course my fav, red. And the black anchors it all. I'm not a fancy pants wedding kind of person. While I love the look of those types of weddings they just aren't me. I'm more of a wedding as just a big fun party kind of person. The colors I was using as inspiration made me think of candy so I chose that as my theme. I sent the colors to Kiss Me Kate Studio, told her I was going with a candy theme and asked her to create an invitation and RSVP card for me. She nailed it. 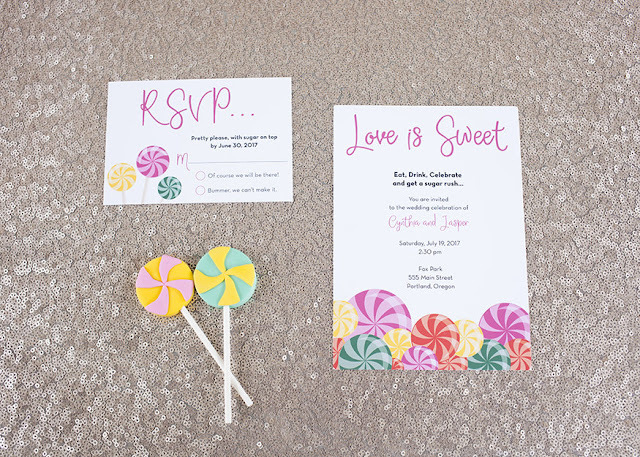 The font and candy say fun but she also captured the wedding feel. For this styled shoot I wasn't re-creating the whole wedding, just parts of it. I skipped the ceremony part and went straight for the reception. The morning started out drizzly and I thought we were going to have to shoot indoors. But when Photography Hill arrived the sun came out and we moved everything outside. Woo Hoo!!! 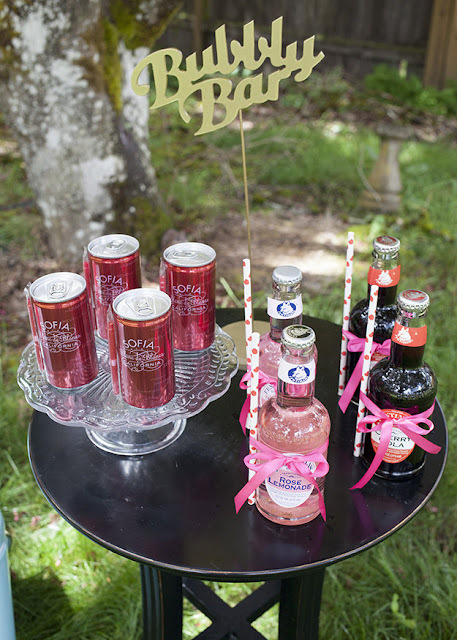 I wanted to create a fun little station for guests to grab drinks and a treat after dancing the day away. A bubbly bar with drinks for adults, Coppola Blanc de Blanc in fun little handy cans and Fentiman's for the kids and those that don't care for alcohol. The octopus is not only fun but it draws people over to the bubbly bar and is one of the inspiration colors, yellow. The Coppola comes with little straws but the Fentiman's does not. So I tied paper straws to the Fentiman's. The straws pull in the red from the inspiration colors while the ribbon pulls in the pink and the table pulls in the black. The bottles and cans also pull in the inspiration colors. Besides working up a thirst dancing the day/night away you might also want a little treat. Popsicles are great for summer or warm fall weddings. 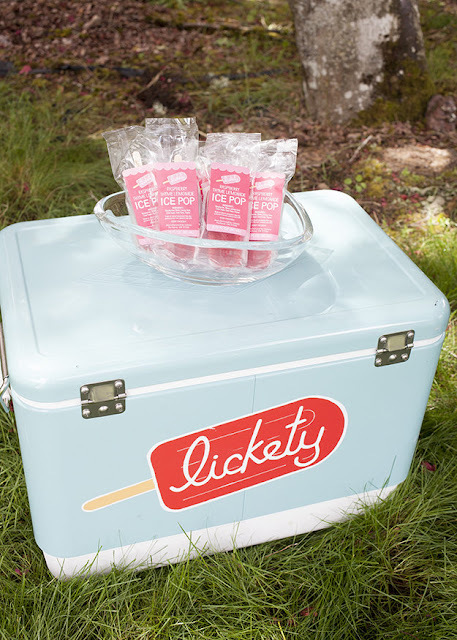 Lickety Pops is a local company here in Portland. Their refreshing flavors will surely be a treat for your guests. This is their raspberry thyme flavor and yes, it is delish. Be sure to come back by for more inspiration and to see the sweetheart and dessert table. Leave me a comment! Myself and the vendors I used would LOVE to hear your thoughts. **This styled shoot used product sent to me by Marry Me by Oriental Trading. Cute set up! 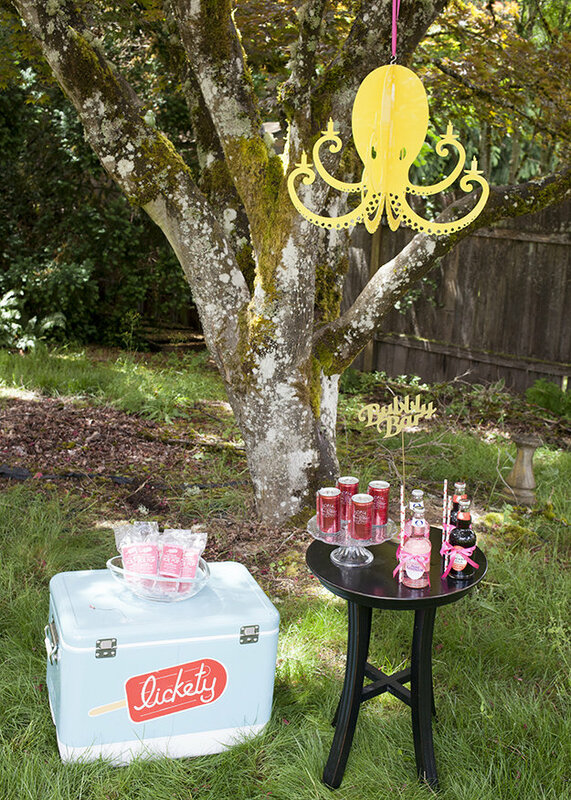 The ice pops are a great idea for Summer weddings. Thank you Blanca! Yes. The ice pops are perfect for those summer weddings that go late into the night. All that dancing makes you want a little something and these pops are light and refreshing.